The stately Dutch Colonial house, located at 1112 Cedar, with side gambrelled roof, although built in the early 1900s was not owner-occupied until 1918 when Charles E. and Emma Freeman purchased the house. 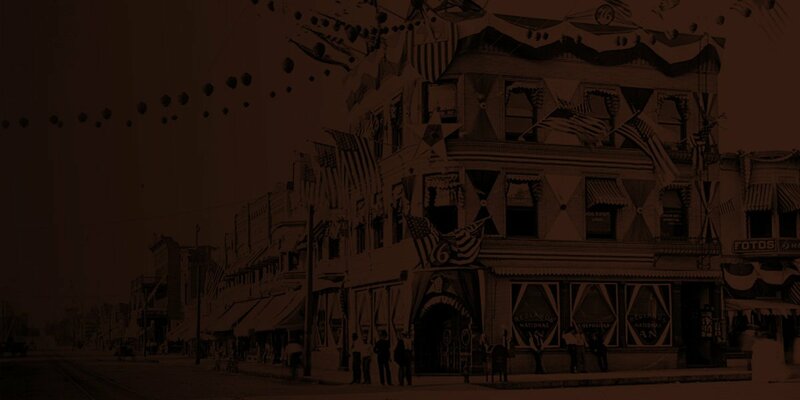 Charles was a grocer on Orange Street and resided in the house when it was officially connected to the city water system. Davis M. Donald built the more than 4,000 square foot “cottage” for a wealthy widow named Gertrude Bowers as rental property. Looking at the south-facing front of this house the most striking feature is the perfect symmetry. A full-facade porch is under the second-story overhang. The inviting single panel door with large single light is flanked by sidelights each with a single panel. Above the door is an original light fixture and bead board ceiling. Six classic Roman Tuscan round columns support the overhang. The braces under this overhang are modillions, which is a more refined less blocky dentil. However, from the street, they give the appearance of dentils. Wall cladding is continuous wood shingles without interruption at the corners. Even the porch is enclosed by a shingle covered skirt extending to the foundation. Three separate dormers, each with it’s own gambrel roof, grace the front of the house. Incidentally, under the gambrel roof is a full second story and completely finished third floor. The true gambrel ends of the house are identical and a nice additional row of shingles has been added under the eaves. From 1923, when the Freeman’s sold the house, until 1936 it passed to four different parties including a bank then in 1936 G. Earl and Ethel M. Prior purchased it and lived there for ten years. Again the house passed through several hands until 1955 when Fritz and Corinne Bromberger bought the house from William Grigsby. While the Grigsby’s owned the house a fire started in the basement, due to improperly stored paint cans, which did extensive damage to the floor joists and main floor boards. In 1976 the Bromberger’s sold the house to the Lucien Van Hulle family. Many changes were made during their tenure. Most obvious was an addition to the kitchen, the enclosing of a second floor sleeping porch to add a bathroom and closet to the master bedroom, and a swimming pool. These remodels were shingled to match the rest of the homes siding. 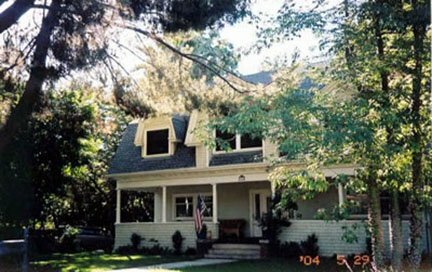 The Redlands Area Historical Society is pleased to recognize the current owners, David and Sarah Swann, for their hard work and love of this historic Redlands gem. Researched and written by Judith Hunt.